Recent trends in agricultural science have emphasized the need to make local people active participants in the research and development process. Working under the populist banner “Farmer First”, the focus has been on bridging gaps between development professionals and local people, pointing to the inadequate understanding of insiders' knowledge, practices, and processes by outsiders. The purpose of this paper is to expose the paradox of the prevailing populist conception of power and knowledge, and to challenge the simple notion that social processes follow straightforward and systemic patterns and can thus be manipulated with a transfer of power from outside to inside. The authors view “knowledge” as a social process and knowledge systems in terms of a multiplicity of actors and networks through which certain kinds of information are communicated and negotiated, and not as single, cohesive structures, stocks or stores. The guiding phrase is “the analysis of difference”, which suggests that knowledge is multilayered, fragmentary, and diffuse, not unitary and systematized. It emerges as a product of the interaction and dialogue between different actors and networks of actors with conflicting loyalties who negotiate over “truth” claims and battle over contrasting images and contesting interests. 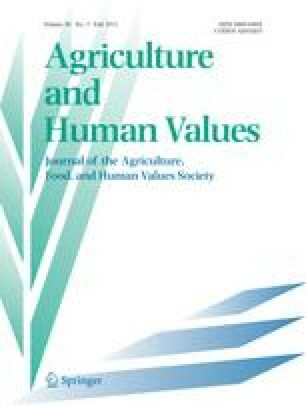 The paper challenges those promoting Farmer First approaches to reassess how people in different agroecological and sociocultural contexts make sense of and deal with constraining and enabling processes related to research and extension; how they attempt, through recourse to various discursive means, to enroll one another in their various endeavors; and how they use relations of power in their struggles to gain access to and control of social and political space. An earlier version of this paper was prepared for the IIED/IDSBeyond Farmer First: Rural People's Knowledge, Agricultural Research and Extension Practice Workshop, 27–29 October, 1992, Institute of Development Studies, University of Brighton, United Kingdom. For more on theBeyond Farmer First Programme, see Thompson, 1993b. John Thompson is a Research Associate with the Sustainable Agriculture Programme of the International Institute of Environment and Development (IIED), London. A resource geographer by training, he has worked extensively on developing and applying methods for farmer participatory research and development, and written widely on various aspects of indigenous knowledge and agricultural research. Together with Ian Scoones, he is coordinator of IIED'sBeyond Farmer First Programme. Ian Scoones is a Research Associate with the Sustainable Agriculture and Drylands Programmes of the International Institute of Environment and Development (IIED), London. Trained as an ecologist, he has conducted detailed research on rangeland, forestry and wetlands management issues in dryland Africa. At present, his various research activities include a project to rethink range management and policy in Africa and another to explore the role of wild foods in agricultural systems in the Third World.